Description: Ex-Static describes a complex system in flux. 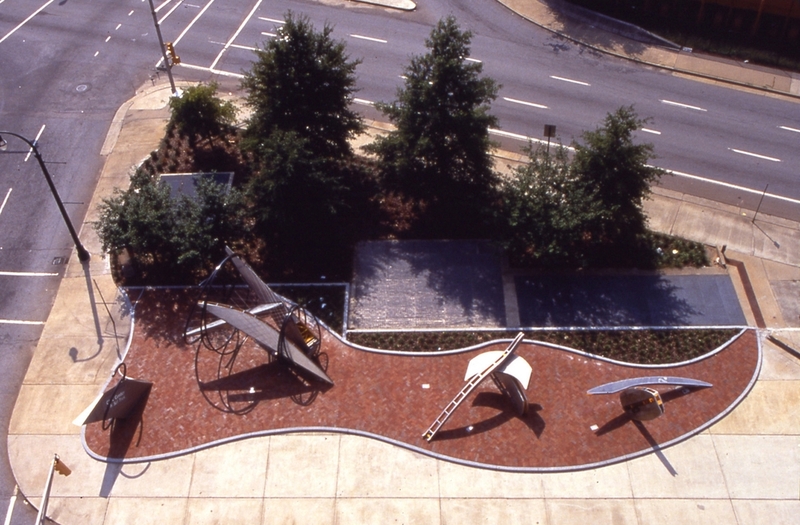 As an integral part of a larger pedestrian corridor, the site-specific sculpture rejuvenates the urban site of the traffic island. A way-finding element, links the Civic Center Marta Station to the Civic Center. 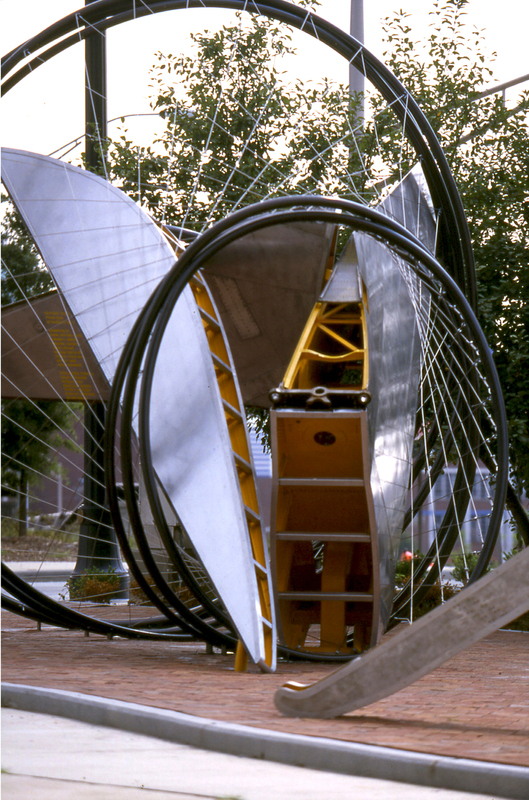 The work is fabricated in part from airplane elements donated by Lockheed Martin Aeronautical Systems. These technically sophisticated elements, engineered for another purpose are reworked. The surfaces have been polished, sandblasted or left with minimal cleaning, and sealed. The beauty of the interior structure has been revealed and emphasized by contrasting paint. The title of the work comes from a stencil found on one of the engine pylons, which read: Ex-Static Test Program. 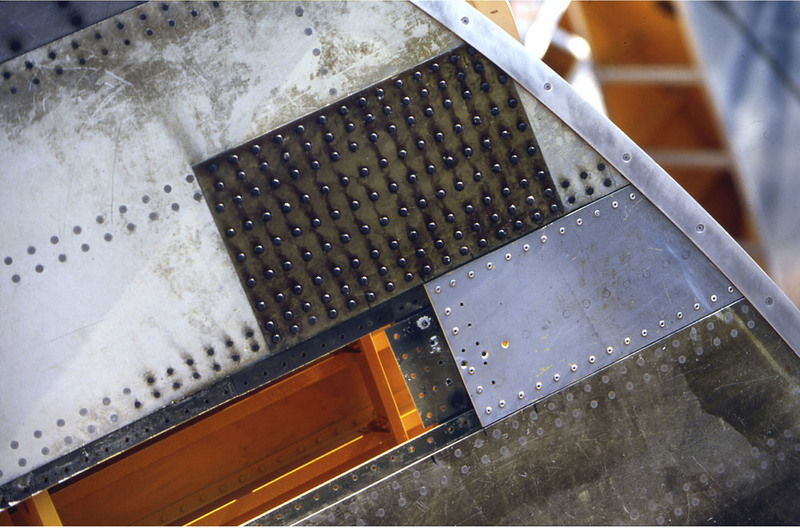 Ex-Static is dedicated to the artist's father, who as an engineer at Lockheed 50+ years ago worked on the two aircraft (the C-5 and C-141) from which the materials came.